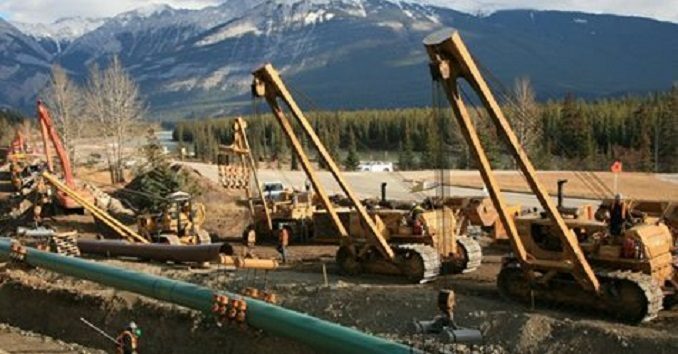 The federal government’s plan to revamp how pipelines and other major projects are approved will lead to no new pipelines in the future according to one industry association. 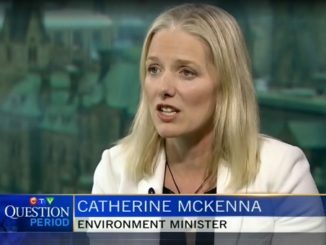 Leaders from across the natural resource sector were in Ottawa on Wednesday to testify before the House of Commons Environment Committee on the impact of Bill C-69. Voices from across industry said the bill could have a negative impact on their future in Canada but the Canadian Energy Pipeline Association said C-69 would bring new projects to a standstill. “In fact, it is difficult to imagine that a new major pipeline could be built in Canada under the Impact Assessment Act, much less attract energy investment to Canada,” said CEPA President Chris Bloomer. The government claims that their revised approval process will lead to shorter timelines for project to be accepted or rejected, something Bloomer disagrees with. “We cannot see that timelines will improve. We expect them to be longer,” Bloomer told the committee. Bloomer also took issue with the government’s claim that the revised process will bring greater clarity. The dire warning from one of the leaders of the industry comes shortly after a Scotiabank report estimated that the lack of a sufficient pipeline network to transport oil and gas to market was costing the Canadian economy more than $15 billion per year. “Reliance on the existing pipeline network and rail shipments to bring Canadian oil to market has a demonstrable impact on Canada’s well-being, with consequences that extend well beyond Alberta,” read the report issued in February by Scotiabank senior vice-president and chief economist Jean-Francois Perrault and commodity economist Rory Johnston. 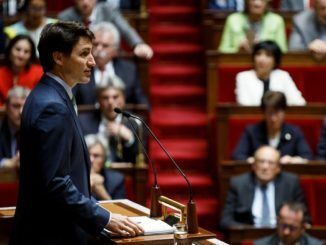 Prime Minister Justin Trudeau has said time and again that he believes Canada must improve on the environment to build the economy, a theme he returned to Wednesday in the Commons. “We know, Canadians know, that doing it together, the economy and the environment, is the only way forward, and that is what we are doing,” Trudeau said. Now a major industry association is saying Trudeau’s plan will lead to no new projects. The Trudeau Liberals effectively cancelled the Northern Gateway pipeline when they came to office by putting in a tanker ban off the West Coast. They approved Kinder Morgan’s TransMountain project but that project is now in jeopardy due to delays and court challenges by protesters. Another major project was abandoned last fall after rules changes that mirror those found in the legislation now under review. TransCanada abandoned their Energy East project after they were told they would be subject to both upstream and downstream emissions test, something a pipeline proposed to take natural gas to a Quebec port won’t have to contend with. Bloomer says the inclusion of upstream and downstream emissions tests will kill his industry. “With built in climate change tests covering upstream and downstream emissions, it is preposterous to expect that a pipeline proponent would spend upwards of $1 billion, only to be denied approval at the end because the project must account for emissions from the production of the product to consumption in another part of the world. If the goal is to curtail oil and gas production and to have no more pipelines built, this legislation may have hit the mark,” Bloomer said. Watch his full opening statement to the committee below. How the hell do we apply gender equality to a pipeline? They have always looked male to me. We need to de-throne the ‘Hairdo who would be King’ before he-him -it-ze-zer whatever and his car full of clowns completely shut down this country! April 2 12 noon local your City Hall. Those of us who love this country need to start publicly show our disgust,displeasure,disappointment with the people(kind) who holds our country’s highest political office ! Come out and be seen!! Incompetences and waste are the hallmarks of the Liberal government. Can you think of one single positive accomplishment so far that this government has successfully completed? Funny, I just asked the same question yesterday of a Trudeau fan. What accomplishment will he run on after four years of colorful vacations and a lot of horse-sh!t but nothing of substance whatsoever. There are a lot of really stupid Canadians that will vote for this twit because they think he is good looking …. That would be the ditsy women’s vote. I tell you, Justin Trudeau is in way over his hair. The incompetance and waste are a distraction from Liberal rapine. To paraphrase Ayn Rand: Things will go badly when those that produce value are forced to seek permission from those that produce nothing. Elijah, we are heading there fast. “We uhh know, Canadians uhh know, that doing it together, the economy uhh and the environment, is the only way uhh forward, and that is what we are uhh doing,” Trudeau said(as if he was a Ken doll and someone had pulled his string). The government is right. The timeline for projects to be accepted or rejected will be much shorter because as soon as potential investors reading the proposal get to the line that says “in Canada” they will reject it. Shiny Pony told us before the last federal election that he was going to do this, but the shallow voter saw only the pretty hair. It is difficult to see that we live in a capitalist free democracy when it had become impossible to get anything down because of a socialist government obsesses with gender, climate and race. WTF is that about? AND WHEN DOES IT END? WE ARE GOING BROKE AND TRUDEAU IS A GROWING EMBARRASSMENT. A sad commentary on Canada that we elected this tutu on the direction of the schophantic media. People of Canada will need to learn new life lessons that the Venezuelans had to learn the hard way, like dumpster diving for a meal, or how to fend off other groups from your newly discovered dumpster. And all because everyone is too scared to push back against the globalists for fear of being called a ‘racist’ or gasp, ‘non-inclusive’. The future generations will spit on our graves for allowing this 20th century cast off murderous monstrosity called marxism to flourish in the 21st century Canada. I hope nobody here is so stupid as to think this is accidental or unintended. Trudeau and his group are intentionally wrecking the Canadian economy. This is no doubt so they can then “save” us with their own lunatic version of socialism, fascism, communism or whatever other “ism” they can dream up. People like them never care about the rest of us suffering, they have been on a wide open generous public teat since they were children, and they damn well intend to continue. I wonder how many city dwellers are aware that there are at LEAST two pipelines under their houses as they sleep at night, one of them being a toxic waste pipeline. Phrased that way, it’s scary! As them if they’re happy to have running water and sewer instead, and they smugly agree. Until the results of short-sighted thinking come back to haunt the urban, as would have happened at last weekend’s NY area storm were it not for coal primary power generation, many will not realize the accumulated wisdom of bad effects that have lead us to our current system. If you do know history then you’re condemned to repeat it. I misspoke. If you do NOT know history then you are condemned to repeat it. Cholera and dysentery in our cities, anyone? Prime Minister Justin Trudeau is a complete idiot! Trudeau and his bloddy Liberal cohort have really done nothing to address the cost of living. 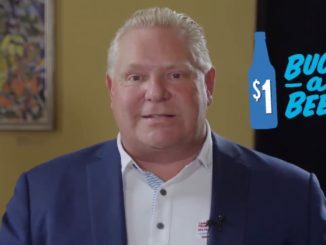 His Liberal government continues to increase taxation or put in regulations that make goods and services even more expensive. The Trudeau Liberal government has done really very little for infrastructure projects, has done nothing to support the Military (or) Veterans, has done nothing to deal with the nuclear increases of the cost of living, has done nothing to reduce the ‘bloated Public Service’, has done nothing to advance agricultural advancements, has done nothing to address Provincial concerns with transfer payments, and so many other areas of concern. Seem this Trudeau Federal Liberal government is all about wasting taxpayer dollars on politically correct BS. Justine Trudeau’s ‘fetish’ with feminism is just sick. His ‘hollow’ pronouncements to the Indigenous concerns is a total failure. Bottom line, The Federal Liberals are an utter failure on so many fronts such is no longer acceptable. The Federal Liberals MUST be removed. What a moronic government we have and the chief moron is the kid! December 11, 2018 Comments Off on A Scheer majority?